The complex “Altitude Towers” demanded mainstream media coverage, when it was first released. It was noted at the time, to be the tallest, the best, the most grand and most of all how - the marketing company sold, not some, but most of the apartments and in a very short period of time. 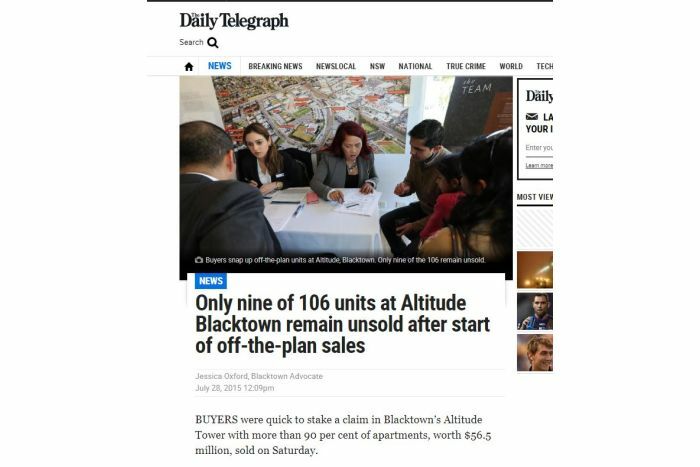 In fact, more than 90% was reported to have been sold, in a single Saturday. 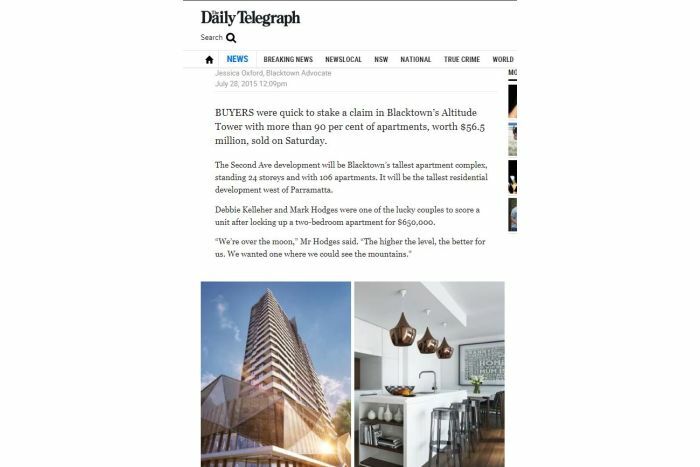 A screenshot from, The Daily Telegraph, July 28 2015. From 2015 to the end of 2017, the mainstream bellowed out their under-supply rhetoric. Mainstream analyst in their view and from their ivory-tower-offices, were right. However, we the real estate agents working on the field and at grass roots level, were wrong (supposedly). From the notice to complete given to buyers, to the end of the settlement period end of 2017 - beginning 2018, the oversupply and low valuation issues began to surface. Some buyers went public with the problems they were facing. Off-the-plan buyers went toe-to-toe with the developer’s agents. 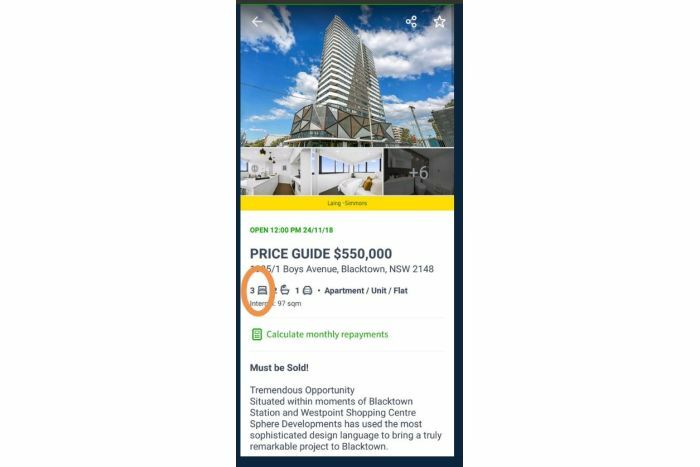 Although the above was and is an issue in a Blacktown apartment tower development, it is a reflection of many others and in many parts of Sydney. Here we are, November 2018 and the chickens have come to roost. The cracks which appeared and were evident to the industry as far back as 2014 and not to the mainstream analysts-spruikers, are now cavernous holes. 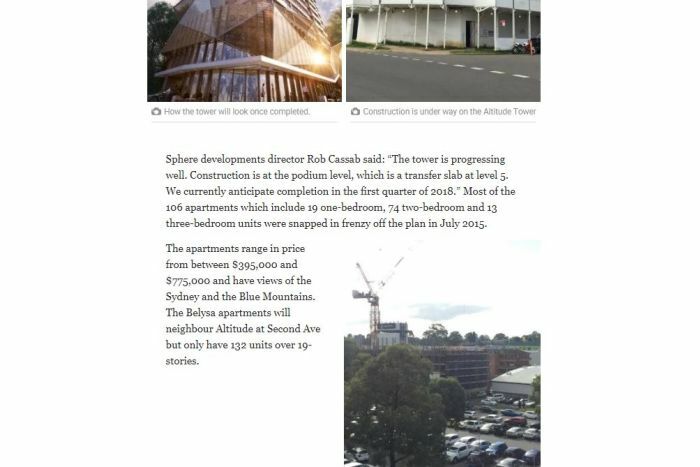 The three bedroom apartments were sold off-the-plan, for $775,000, in 2015. See image below. 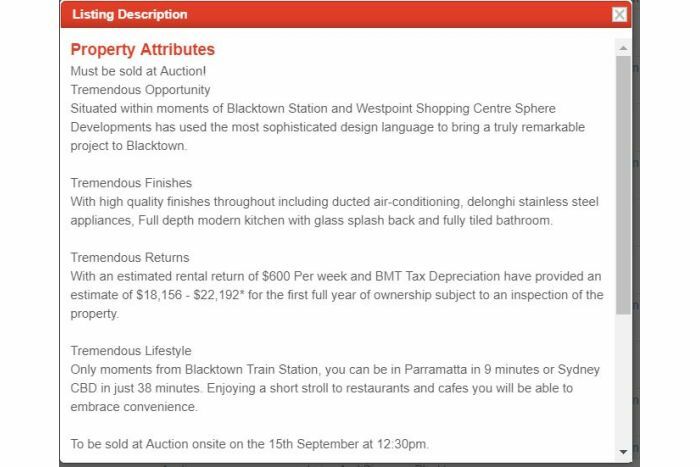 The same, was offered to the market with a guide of $650,000 - $700,000 under an auction campaign, mid 2018. 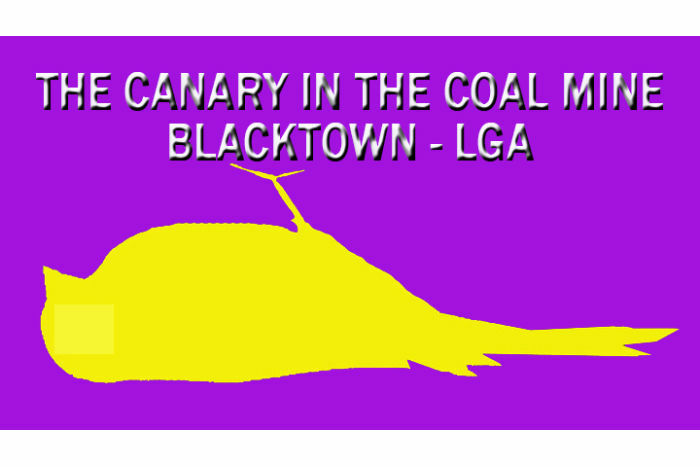 Must be sold at Auction - Tremendous Opportunity, was the agent’s slogan. It didn’t sell the opportunity was lost, or was it? Now, there is a vast and very distant gulf between, the off-the-plan sales in 2015 to the present offering. An almost 30% drop in ASKING price. Where and how will this end? In a word, and from my point of view – MISERY - for most, if not all the buyers. As always, not all that shines is gold. Most of all, we need to learn and discern the difference between, real property data from the mainstream analyst’s self-serving narrative.